For over 17 years, Courtesy Auto Repair Plus has been servicing the automotive repair needs of Tiffin, Ohio and the surrounding communities of Fort Seneca, Bascom and Republic. We service all makes and models, foreign and domestic, cars and trucks. On this site you will find valuable auto repair specials which update each quarter so check back often. Don't forget to sign up for our monthly eSpecial offers and receive exclusive auto repair deals for our email customers only. Our automotive repair facility is located at 967 Bon Air Ave., Tiffin. 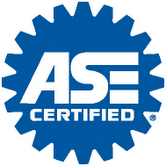 Our ASE certified mechanics are trained to accurately diagnose automotive issues correctly the first time. Call us if you need towing or roadside assistance. Open Monday through Friday from 7:30 AM - 5:30 PM. We serve customers throughout Tiffin including all of Seneca County. Feel free to come into Courtesy Auto Repair Plus for a quote on an Auto Repair or Brake Service. Click the button below and Like Us on Facebook to To Become a Fan.